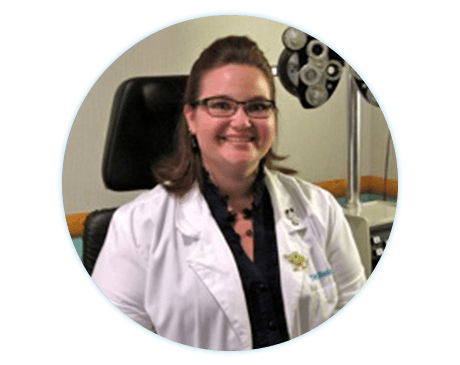 Tara Shields, OD, is a highly experienced and skilled doctor of optometry at Antelope Valley Optometric Center in Lancaster, California. Dr. Shields works with patients of all ages, diagnosing and treating a wide range of ocular diseases. Dr. Shields works with patients of all ages, diagnosing and treating a wide range of ocular diseases. She specializes in comprehensive vision exams, contact lenses, eyeglasses, LASIK co-management, pediatric eye care, and treatment of retinal diseases and other eye conditions such as astigmatism and macular degeneration. Dr. Shields is also certified in diagnostic and therapeutic pharmaceutical privileges, which allows her to diagnose and treat most ocular diseases as effectively as possible. Dr. Shields earned her undergraduate degree at Northern Arizona University in Flagstaff, Arizona. She then went on to earn her doctorate degree at the Southern California College of Optometry in Fullerton, California. In 2007 Dr. Shields relocated to the Antelope Valley, and she’s been a proud member of the community ever since. When Dr. Shields isn’t busy with her work, she enjoys family time with her husband and four children.